TerraGator C Series at the 2018 MAGIE show, where it also won the coveted ShowStopper Award. AGCO Corp. capped a big year for the company by adding the TerraGator C Series to its product line-up. This followed the release of the company’s RoGator C Series model the previous year. In turn, the marketplace seemed impressed with the new TerraGator. In fact, the C Series unit continued upon the success it had at the 2018 Midwest AG Industries Exposition (MAGIE) — where it won the coveted ShowStopper Award — by adding the 2018 CropLife IRON Product of the Year trophy to the mix (see photos above). “I appreciate the recognition for the TerraGator C Series on behalf of AGCO and everyone who worked on bringing this product to the market,” David Webster, Director, Application Equipment Marketing, said, accepting the trophy at the 2018 Agricultural Retailers Association meeting in November in Boca Raton, FL. The TerraGator C Series consists of three three-wheel models — the TG7300C, TG8300C, and the TG9300C — and one four-wheel model, the TG8400C. Each is equipped with an AGCO Power engine, which the company says consumes 8% less fuel than previous models. 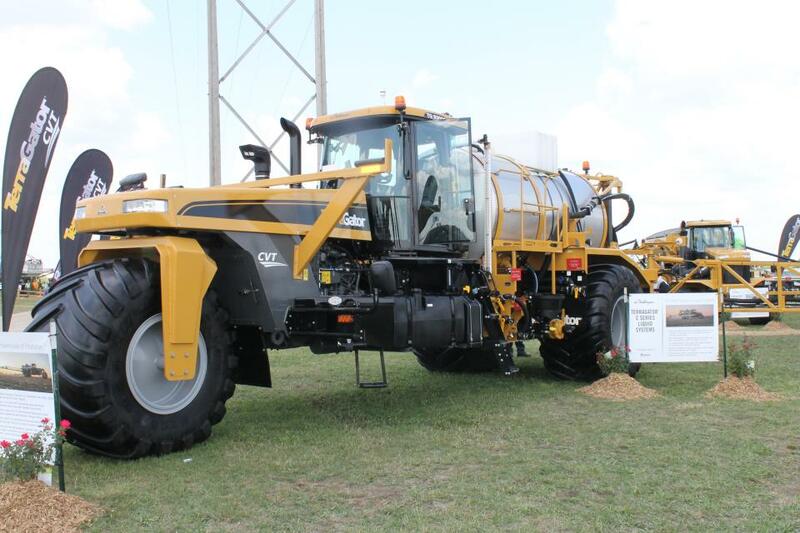 All TerraGator C Series models can be fitted with AGCO’s new liquid system and one of six dry application systems. For liquid needs, the booms features a wider-inner-boom cross section and structural members, larger 1.75-inch boom pins and enhanced mid-boom fold and tip breakaway structures. These are available in 80- and 60/80-foot fold-over options, allowing operators to cover 82.5 feet at 30-inch nozzle spacing or 85 feet with 60-inch nozzle spacing. The boom tree is built with 4X4 tube construction. As for the dry options, there are six options for customers to pick from. The NL4500 Edge and NL5000 from New Leader are boundary-spread and section-control capable, respectively, allowing users to deliver crop nutrients over the field in fewer trips, AGCO says. Both of these are also available in MultApplier-ready or MultApplier-complete to apply one, two, or four products. The AirMax Precision is a single-bin system that features 70-foot booms with triple-overlap coverage. The AirMax Precision 2 with available granular bin can apply two or three products at once. The Soilection Twin Bin is an open, free-flowing two-bin system. The Soilection Four Bin is another option. In the cab of the new TerraGator C Series, operators will find the same application-focused, intuitive command center and touchscreen AccuTerminal found in the company’s RoGator C Series. This also features an air-ride cab suspension and enhanced seat suspension. 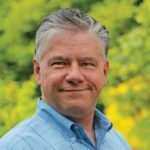 “I’m very excited to tell the group back in our Jackson, MN, plant, where the TerraGator C Series is made, that the team there has received another great award from CropLife IRON and its readers,” Webster said. I hope their quality control has improved from the B series terragators and C series sprayers. Should make sure your “new” control system works before releasing it. It not very productive when you have to keep replacing engines in the 9300B even if they use less fuel.